Sitting above the city of Pigeon Forge, Whispering Pines is in a prime location for anyone wishing to vacation to this area. 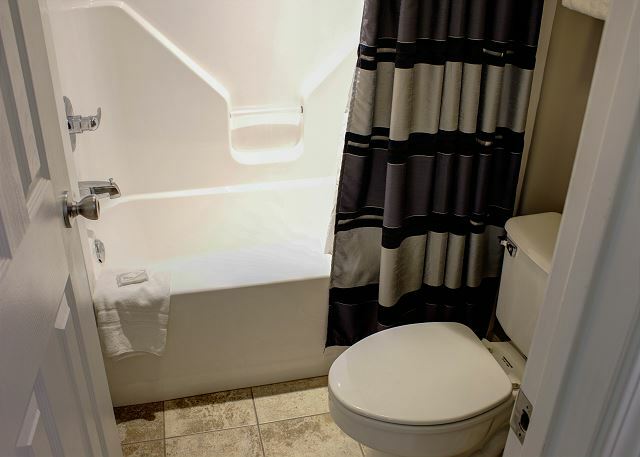 Our two bedroom, two bathroom condo is furnished in an upscale and elegant manner. Yet, you will find the comforts of home. 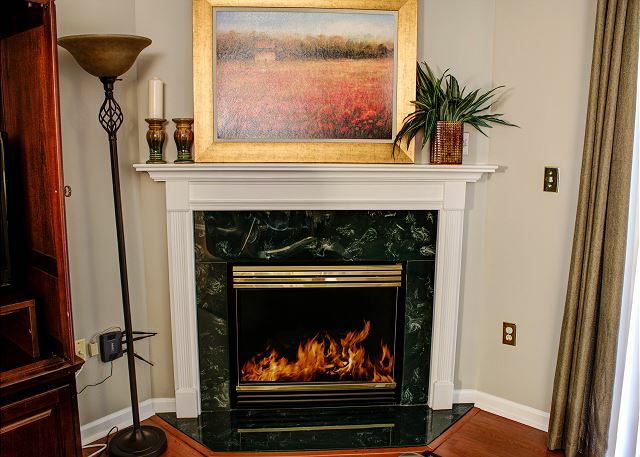 The living room offers ample seating and a seasonal gas fireplace. You can start your day with breakfast on your private balcony and relax in the Jacuzzi in the master bedroom after a long day in town. 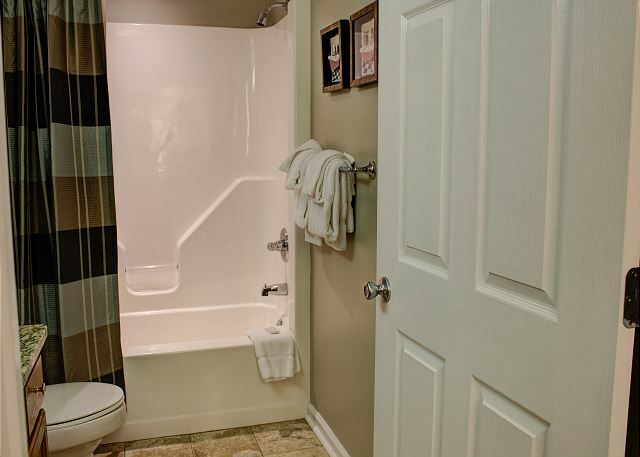 The bathrooms have recently been updated with granite countertops to add a touch of luxury. Flat Screen TV's are found in the living room and bedrooms and the dining area offers a large cherry wood table for you all to gather around. We hope you choose to vacation with us, we know you will love it! The condo was clean, in a great location and the staff was very nice and professional. Thank you so much for staying with us at Whispering Pines! We're happy to hear that you had a great spring break getaway in condo 322. Nothing beats getting to stay in the heart of Pigeon Forge and we love when our guests let us know how much they enjoy it. We truly appreciate you and your kind comments, they mean a lot to us. We hope you'll stay with us again the next time you're in town! You are correct, Whispering Pines Condos in Pigeon Forge has a prime location for shops, restaurants, activities and scenic sites. We appreciate your positive comments regarding our Staff and look forward to your return visits. Great place close to attractions! Condo was clean and nice. Pool area great for the kids! Clean area code to the attractions but quiet. Thank you for vacationing with us at Whispering Pines Condos in Pigeon Forge. 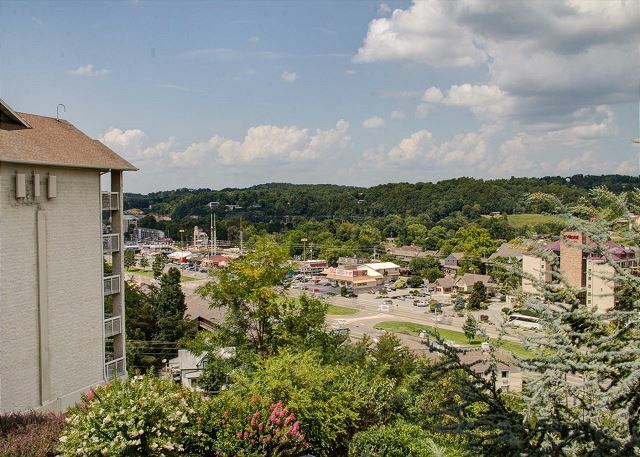 You are correct; our condos are in a prime location for all the attractions of Pigeon Forge. We are glad that you got to visit during this very, very, busy time of year. We appreciate your excellent review and comments and look forward to your return visits. It was a beautiful condo, tastefully decorated. Beds were comfortable, lots of dishes, and everything you might need to cook a meal. The couch could definitely use some updating very worn. But other than that we will definitely be back again for another stay. Very convenient to town, property was very well kept. Thank you so much for staying with us at Whispering Pines! We're happy to hear that you had a wonderful stay in condo 422. We truly appreciate you and your kind comments regarding the condo and location, they mean so much to us. We do want to take a moment to sincerely apologize for the inconvenience you experienced with the couch, we will absolutely pass these comments along to the owners and we thank you for making us aware. It sounds like other than that, you had a great time and we're so glad. We hope you'll stay with us again the next time you're visiting beautiful Pigeon Forge! The condo was clean , bright and very comfortable. Enjoyed the stay completely. Will visit again. Thank you so much for staying with us at Whispering Pines! We are absolutely thrilled to hear that you all had a wonderful experience with us at our resort and that you enjoyed unit 322. We appreciate you and your recommendation and we welcome you to stay with us again the next time you're visiting beautiful Pigeon Forge! Wonderful! Thanks for staying with us and come back again soon! The property was as described, clean and well-maintained. Great! The stay at Whispering Pines was a great experience. We recommend the condos to anyone wanting a great place to spend your vacation etc. Close to activities, attractions and restaurants. Thank you so much for choosing Whispering Pines for your lodging needs when visiting the Pigeon Forge area! Our goal is to exceed the expectations of our guests and with your review it sounds like we accomplished that. We greatly appreciate your time to write this review, your recommendation and sharing your great experience, but most importantly we appreciate you! We're so pleased to hear you found the property convenient and accommodating for your stay. We welcome you back very soon! The team was great! Very helpful and kind. We really enjoyed the location, little off the main strip but easy walking distance. Our main reason for the trip was to visit Dollywood which was a short drive with minimal traffic. Hope you all had a blast at Dollywood and enjoyed the Festival of Nations while you were there! We appreciate you staying with us and hope you choose to do so the next time you are in the Pigeon Forge area. Thank you so much! We appreciate you being such a loyal guest and we are happy you all enjoyed your stay! Come back and see us again soon! Probably not the best time to come to Pigeon Forge because of the crowds. The weather was beautiful and we enjoyed our stay in spite of the abundance of people. Many, many people love to visit the beautiful Smoky Mountains/Pigeon Forge in October. There are so many wonderful attractions and sites to see! Travel during this time does take longer, but it is worth it. We appreciate your visit, perfect review and comments and look forward to your return. Just wish the living room furniture was a little better, one couch , 1 recliner and 1 hard rocking chair. Could use a additional recliner or loveseat. Thank you so much for staying with us! We appreciate you taking the time to give us some feedback, it helps! We hope you all enjoyed your stay and we hope to see you again soon! We enjoyed our stay at Whispering Pines so much. We normally stay in cabins while visiting the area but decided to try something different and we were very pleased with our decision to stay here. We look forward to visiting here and your other properties as well soon. Everything was so clean and inviting for our stay. Checking in was very easy and pleasant. Also thank you for the military discount. We also enjoyed the indoor pool, hot tub and view of the city below. We enjoyed shopping, dining at the Old Mill, The Island and just sitting on the deck of the condo enjoying nature. Thanks again for a wonderful getaway!! Thank you for choosing Whispering Pines Resort for your first time staying in a condo while visiting Pigeon Forge. We are so excited to know that you were pleased with your experience with us. Our convenient location is big plus for our guests. 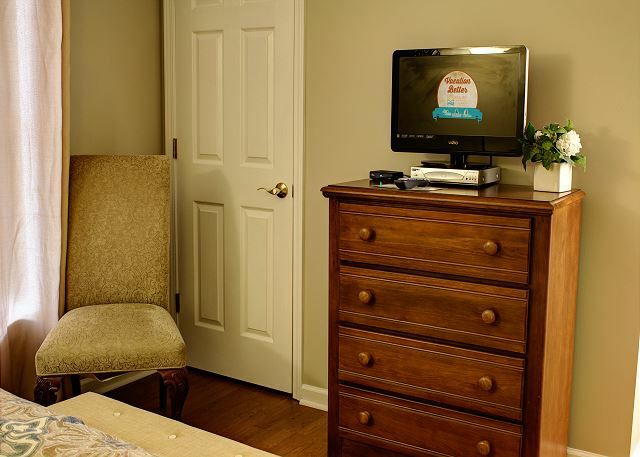 We are glad that you were able to take advantage of the amenities that we offer. We are proud to offer a military discount, we appreciate your service. We value your wonderful feedback and hope that you are able to visit us again when visiting our beautiful area. This was one of the best places to stay. We enjoyed the property. The Condo was very nicely keep. Clean and Quiet. Staff was very nice and helpful in every way. Located close to everything. Awesome! Thank you so much for staying with us! We are happy you all had such a great time and we hope you can come back and see us again soon! Thank you so much for your wonderful feedback. We hope that you are able to visit the Pigeon Forge area again in the future. Thank you for staying with us at Whispering Pines. We are so excited to hear that you had a relaxing getaway. We appreciate your review and hope to see you again in the near future. No complaints. Everything as described. Bed comfortable. Clean. We appreciate your perfect review and comments; glad you enjoyed your stay and will make plans to visit us again. Great! Glad you enjoyed your time with us and we will be here waiting for you when you come back! Thank you for staying with us at Whispering Pines for your brother in laws wedding weekend. We are so excited to hear that you always have a great experience while staying with us. We appreciate your feedback and look forward to seeing you again soon. We all loved it! Thank you for a great experience!! Thank you for staying with us at Whispering Pines. We are glad to hear that everyone enjoyed their stay. We look forward to seeing you again soon! This place is wonderful!! Very nice place to stay, nice staff, super comfortable rooms... A luxury feel without the luxury price. Wow! We look forward to your return and appreciate your review and fantastic comments. It is our pleasure to have you as our guests. Condo is tastefully decorated, very clean! If I may offer a couple of suggestions, the sofa was clean, but showing a lot of wear. Not comfortable. Some new mattresses on the beds would also be a nice improvement. While our stay was really nice, these improvements would have made it simply wonderful! We are praying for the area in the wake of the fires, and hope to be back again next spring. Thank you for your feedback regarding your recent stay in condo 322. We will forward your suggestions to the condo owner. We appreciate your prayers and concern for our area due to the wildfires. We look forward to seeing you in the spring. The condo was beautiful and we enjoyed our stay very much. The only downer to the weekend was the traffic in Pigeon Forge. Terrible. We plan on renting again in the future. Thank you for your kind comments regarding your stay and the condo. 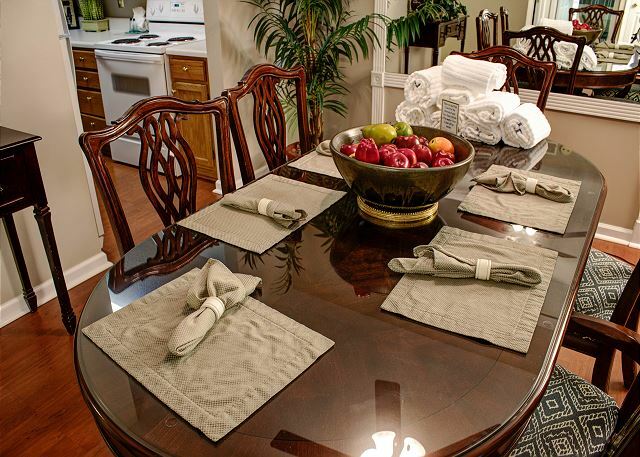 The owners take really good care of their condos here and will love seeing your comments regarding your stay. See you again soon. Thank you for your visit and excellent review. We are glad that you had a great time. We always enjoy staying at whisper Pines. 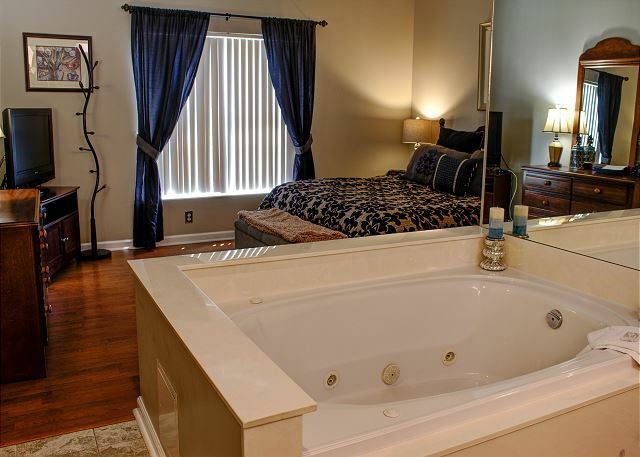 The only recommendation for this unit is the master bedroom needs a new mattress, The one in the master bedroom is shot! That you for staying with us at Whispering Pines! We will absolutely pass your suggestion about the mattress on to the owner of that condo. Again, thanks for staying and we hope to see you again! HAD A WONDERFUL TIME . CONDO WAS VERY CLEAN. PROBABLY THE CLEANEST WE VE EVER RENTED. HATS OFF TO THE MAIDS. EVERYTHING WAS COMFORTABLE EXCEPT FOR SOFA. BELIEVE I WOULD RETHINK LEAVING IT IN SUCH A NICE CONDO. ALL IN ALL WE HAD A GOOD EXPERIENCE. We are so happy to hear that you had a wonderful stay with us in condo . Thank you so much for the wonderful comments regarding the cleanliness of the condo. We will contact the condo owner about the sofa that you mentioned. We hope to see you again soon. Our stay at Whispering Pines was very relaxing and enjoyable. The amenities were wonderful! 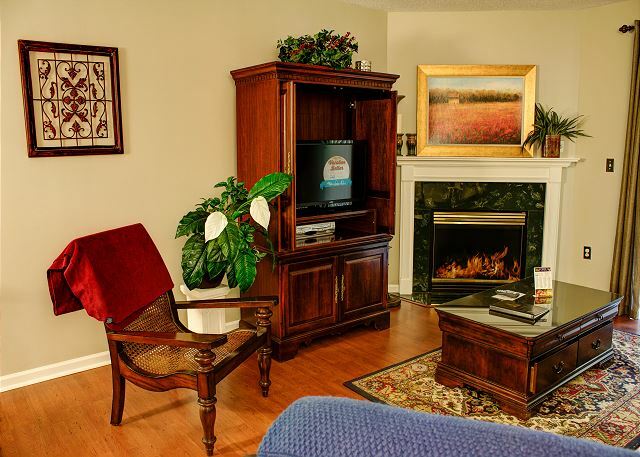 We are glad that you could relax and enjoy your vacation in unit 322 at Whispering Pines Condos in Pigeon Forge, TN. Glad you enjoyed the amenities, also. Very nice condo. My husband especially enjoyed the large jacuzzi tub. Our grandson liked the indoor pool and game room. We all enjoyed the fireplace and balcony. We look forward to staying there again.The entire staff was very friendly and helpful. Charley was great helping me with the rental! We look forward to your return visits, also. We are glad that you are making wonderful memories with your grandson at Whispering Pines Condos unit 322 in Pigeon Forge, TN. Our family has stayed in Whispering Pines Condos several times while visiting Pigeon Forge. Each time has been a wonderful experience. The rooms are large and the King size beds are comfortable. The condos are always clean and the staff are very helpful. Thank you for your wonderful review! We are pleased to hear you continue to enjoy your stay with us at Whispering Pines! We appreciate your patronage and look forward to your next visit. very friendly,professional.We stay here every time we come ,and have never been disappointed.Highly recommend this property and professional staff.. Thank you so much for your feedback! We are pleased to hear you continue to enjoy your stay at Whispering Pines. We appreciate your patronage and look forward to your next visit. Wonderful stay. Will definitely be back! Beautifully decorated,very clean, friendly staff. I have zero complaints about our stay. I will definitely be staying here again! Thank you for staying with us at Whispering Pines. We appreciate your kind review and hope to see you again soon. We had a great stay in unit WP 322. The location was great- close to everything but still felt quiet and private. This unit was conveniently placed near the outdoor and indoor pools. This unit was very clean and beautifully decorated. The living room couch could probably be replaced and the sofa bed was starting to break down. Everything else was just perfect. We appreciate your patronage and are glad that you had a great stay at Whispering Pines Condos unit 322. The owner of the unit will be contacted regarding the replacement of the sofa. Great vacation qualities: comfortable condo with relaxing atmosphere and nice people. Visit us again at Whispering Pines Condos unit 322. We have stayed at Whispering Pines Condos in Pigeon Forge many times. Always clean condos, plenty of room, very helpful desk staff. Many thanks for your review and your many visits. Our Housekeeping Staff does a wonderful job, and we are always glad to assist you at the Front Desk. 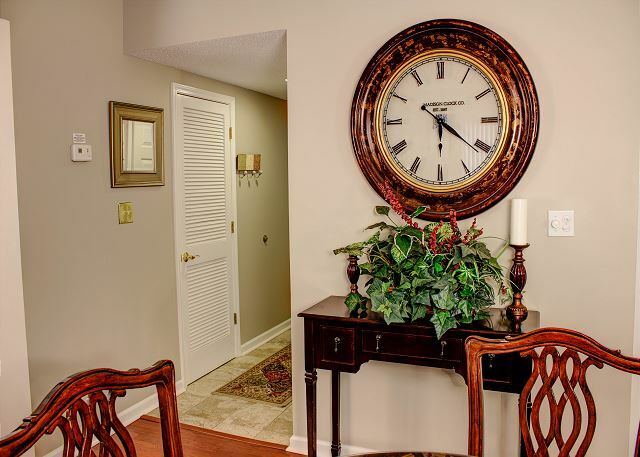 Glad you enjoyed your stay in Whispering Pines unit 322. I love Whispering Pines! The staff is friendly, the rooms are very clean and beautiful! Overall, this is the best place to stay in Pigeon Forge! Thank you so much for your feedback! We are happy to hear you enjoyed your entire experience with us at Whispering Pines. We appreciate your patronage and look forward to your next stay with us. We found everything to be very nice and would be likely to stay here again. We are glad you enjoyed your stay with us at Whispering Pines! We appreciate your patronage and look forward to your next visit. This condo was very clean! Thank you for staying with us at Whispering Pines Resort. We are so pleased to hear that you enjoyed condo 322. We hope to see you again soon. Great location. Enjoyed our stay. Close to Dollywood and other attractions. So glad you enjoyed your trip to Pigeon Forge and Whispering Pines! We hope to see you in the future.